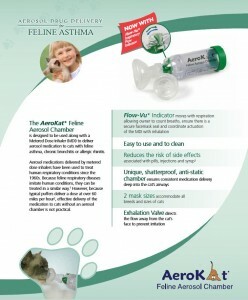 Although no medication has been specifically formulated or approved for use with the AeroKat and AeroDawg, current users have suggested the use of the following metered dose inhaler medications. Please note that most of these drugs will be off veterinary licence. 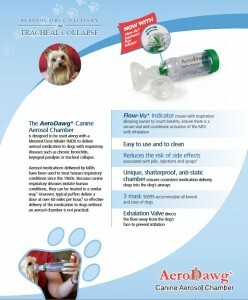 BreathEazy Ltd neither endorses nor accepts liability for the use of these medications. The choice of prescribed medication lies with the consulting clinician.